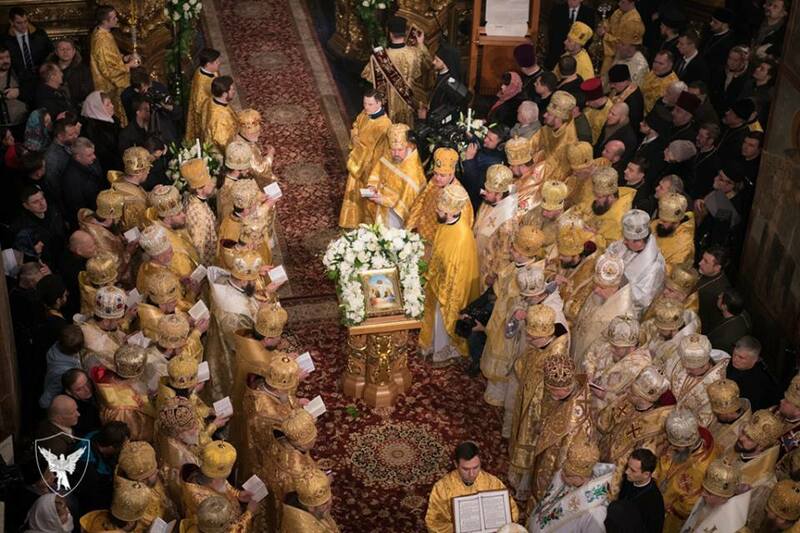 While on the official visit to Ukraine, the hierarchs of the Ukrainian Orthodox Church of the USA took part in the Divine Liturgy and the Rite of Enthronement of the newly elected Metropolitan of Kyiv and All Ukraine His Beatitude Epiphaniy. 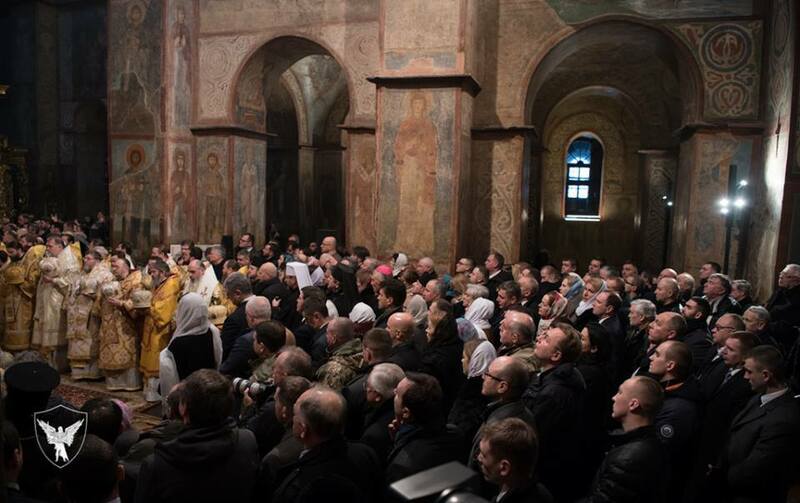 Along with over 60 hierarchs of the Orthodox Church of Ukraine, His Eminence Metropolitan Antony and Archbishop Daniel concelebrated with His Beatitude Metropolitan Epiphany and the Special Representative of the Ecumenical Patriarchate of Constantinople His Eminence Metropolitan Emmanuel of France. 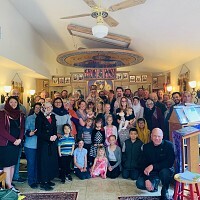 Among other hierarchs were His Eminence Metropolitan Yuriy of the Ukrainian Orthodox of Canada and His Eminence Metropolitan Amphilochous – Exarch of the Ecumenical Patriarchate in Greece. 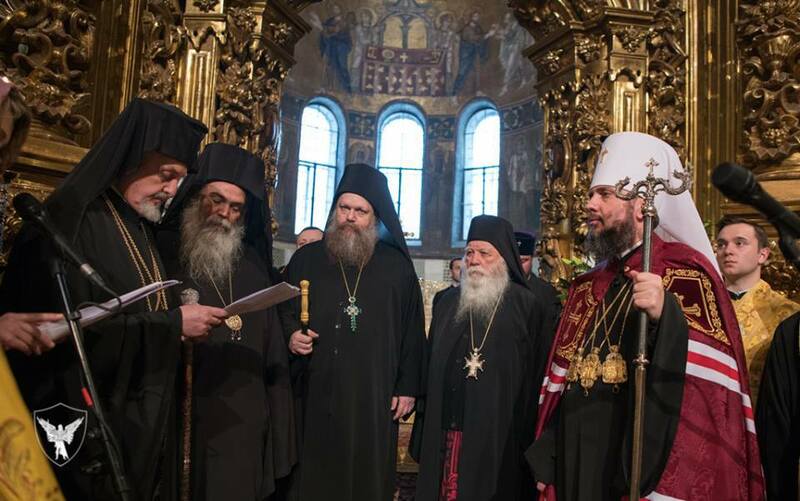 Both Metropolitan Antony and Metropolitan Yuriy, on behalf of the Ukrainian Orthodox Churches of the USA and Canada took part in the Enthronement service and presented the Metropolitan of Kyiv with panagias. 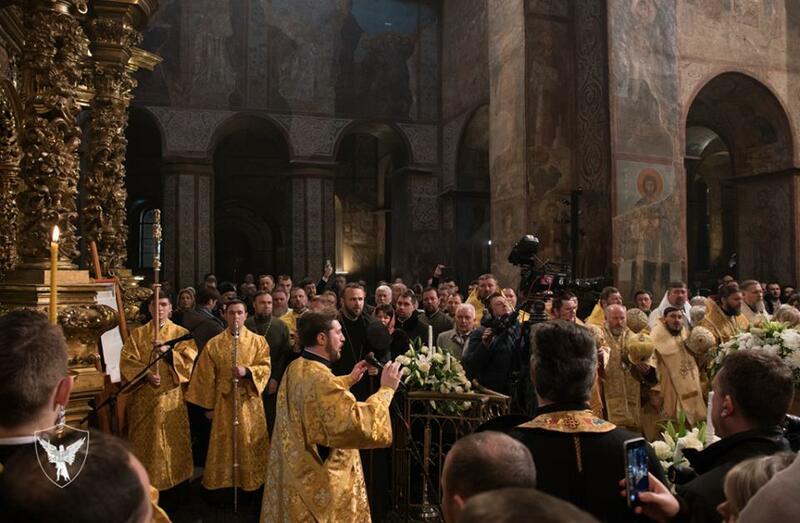 During the three-hour event in the gold-decked 11th-century St. Sophia Cathedral, Metropolitan Epifaniy became head of the church, having been elected by the Unification Council of the Church on Decemebr 15th, 2018. The monastics from the Holy Mount Athos: Abbot Alexios of Xenophontos with brothers as well as priests from Vatopedi monastery participated in the Divine Liturgy and the Enthronement service, assisting His Eminence Metropolitan Emmanuel with the presentation of an archpastoral staff – a gift from His All-Holiness Ecumenical Patriarch. 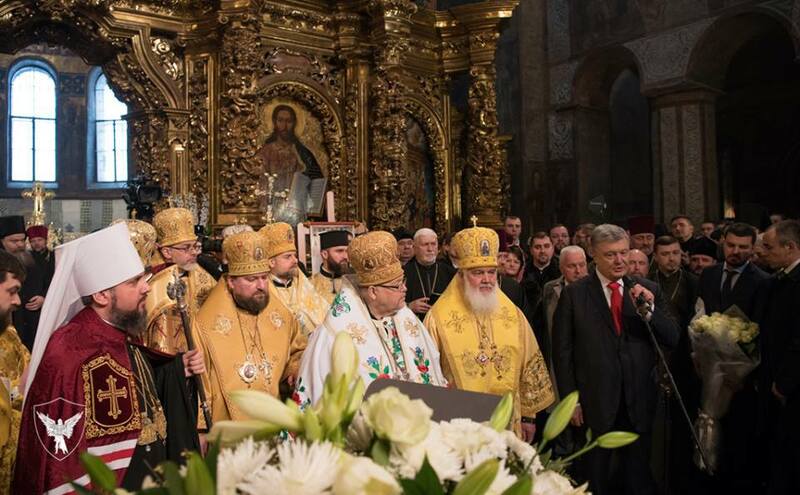 President of Ukraine Petro Poroshenko, together with his wife Maryna, took part in the liturgy and enthronement of Primate of the Orthodox Church of Ukraine. 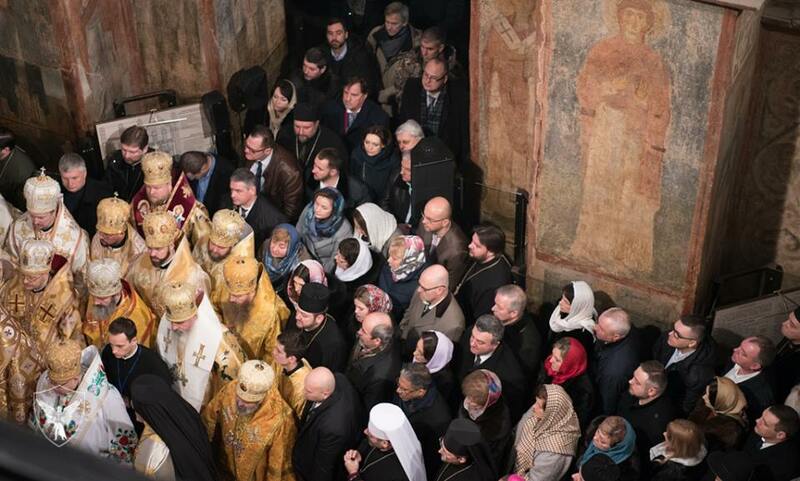 "In the last two months, we have been meeting in these thousand-year-old walls of St. Sophia of Kyiv unprecedentedly often. And every event that brings us together here is truly historic," Petro Poroshenko said. The Head of State reminded that on December 15, 2018, the Unity Council was held, where the autocephalous Orthodox Church of Ukraine arose, and Bishop Epifaniy was elected its Primate. On January 7, Metropolitan Epifaniy conducted the first Nativity of our Lord (Christmas) liturgy after the Church had received the Tomos of autocephaly. "And today, we are present at the event, which is both continuation and completion of the previous ones. 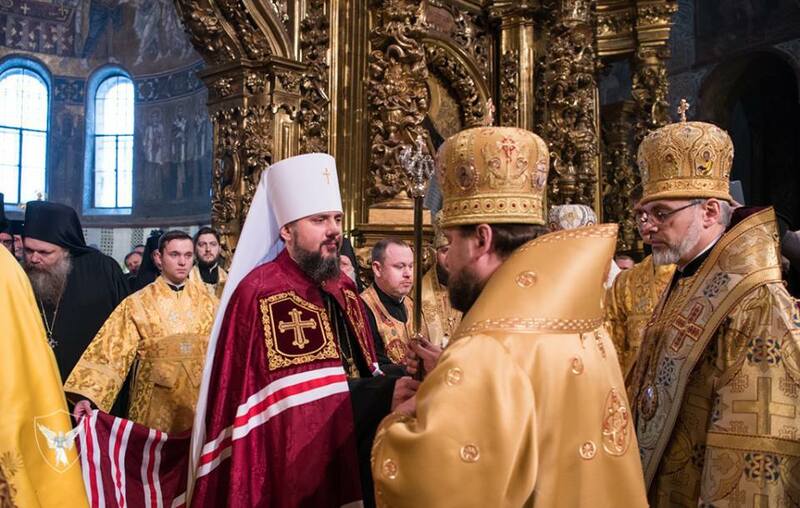 The enthronement of Primate of the Ukrainian Orthodox Church, Metropolitan of Kyiv and All Ukraine Epifaniy means that the Church and the Orthodox Ukrainian people received a new leader," the Head of Ukrainian State emphasized. “Great hopes of many people are put on you now, Your Beatitude. 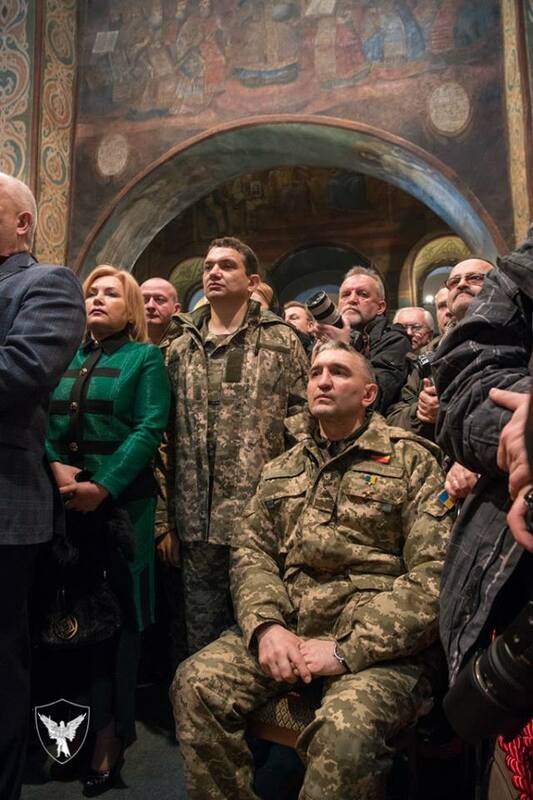 I believe that they will be justified, that you will lead the Orthodox community along the path of goodness, love, faith and mercy,” Petro Poroshenko noted. The President congratulated the Metropolitan on the enthronement and on his birthday, which the hierarch celebrates today. "I am very glad and thank God that today I have this opportunity to congratulate you. And it is very important that today there is a reason for additional greetings. On behalf of myself, Maryna, family and all present, I congratulate you, Your Beatitude, on the 40th anniversary. I am very happy that our church has such a young primate. I wish you strength and wisdom, understanding and support. May God bless all your deeds," Petro Poroshenko said. The President expressed sincere gratitude to His All-Holiness Ecumenical Patriarch Bartholomew for his love, for supporting the Ukrainian people's aspiration to have an autocephalous church. "His faith in Ukraine, faith in the Ukrainian people, love for Ukrainians and Ukraine, wisdom and courage gave us strength and determination," Petro Poroshenko said. The Head of State expressed sincere gratitude to Metropolitan Emmanuel and the Exarchs of the Ecumenical Patriarchate who were present at the event “for the great role in our common work on the unification of the Ukrainian Orthodoxy and the recognition of the autocephaly of the Ukrainian Orthodox Church”. 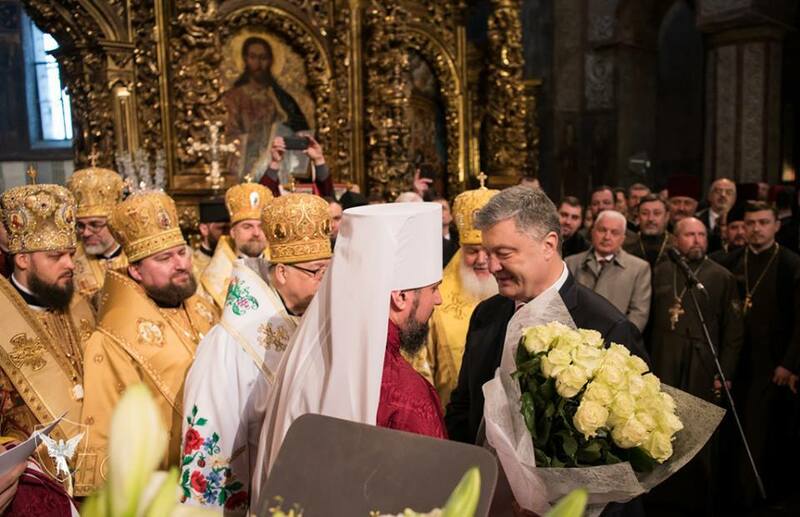 Primate of the Orthodox Church of Ukraine, Metropolitan of Kyiv and All Ukraine Epifaniy, in turn, thanked President Poroshenko for his efforts that helped create the Orthodox Church of Ukraine and receive the Tomos of autocephaly. 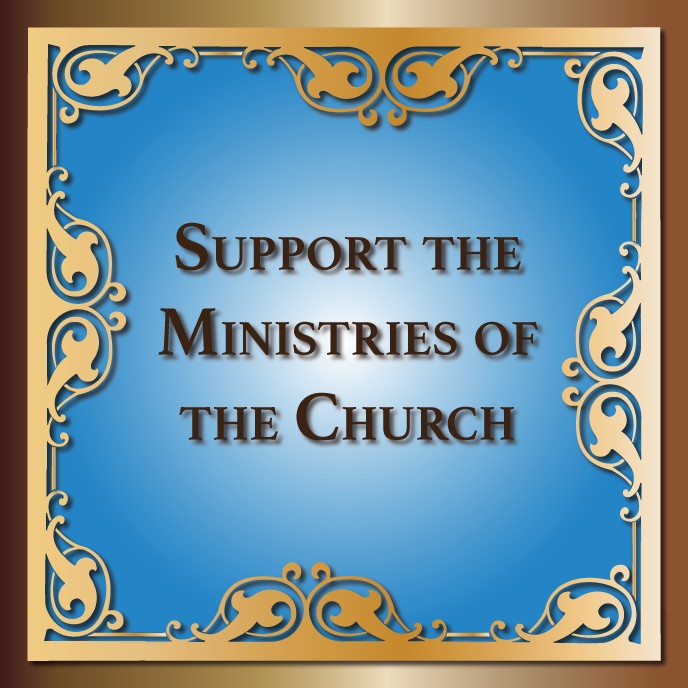 "Thank you, Mr. President, for the enormous work that you personally and your employees, other branches and authorities have made for the request of the Ukrainian church about the Tomos to be met, for the preconditions for the church unification to be created," he said. His Eminence Metropolitan Antony and Archbishop Daniel offered their greetings to the Primate of the Orthodox Church of Ukraine, wishing him the zeal of the saintly Metropolitans of Kyiv, who offered themselves selflessly in the service of the Ukrainian people, while making numerous attempts, at times even sacrificing their lives, in order to achieve the Autocephaly of the Orthodox Church of Ukraine.